Synergy Chrome Designer Square Ladder Rail - Only £130.99! In stock now from just £130.99 including VAT! Hurry while stocks last! 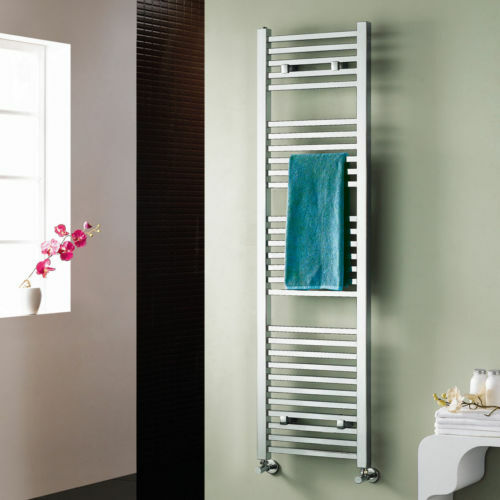 One of the most popular heated towel rail radiators on the market today, this stunning Synergy Chrome Designer Square Bathroom Ladder Radiator boasts a fantastic blend of quality, style and value for money. 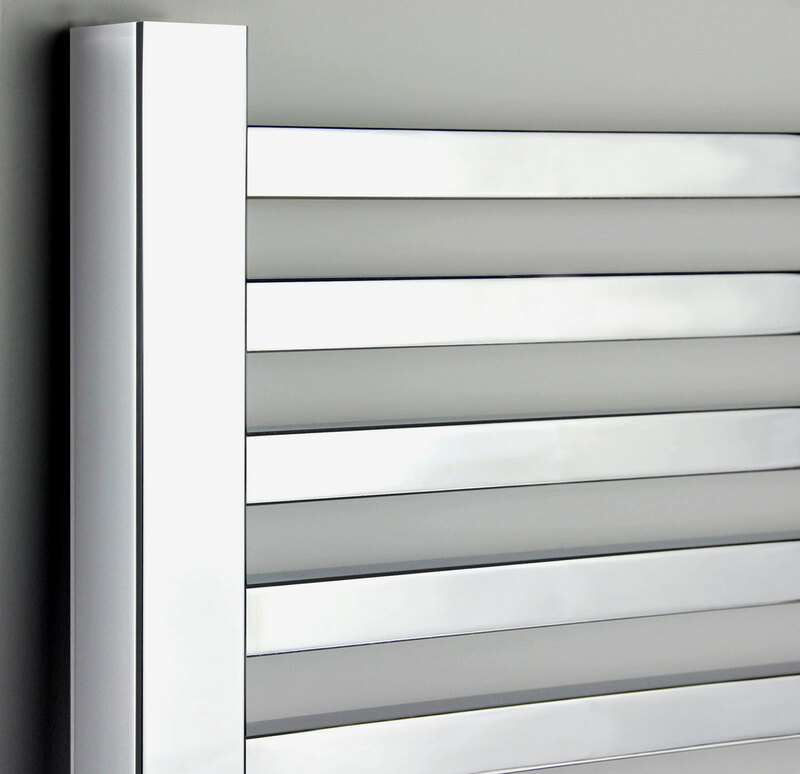 Featuring a beautifully eye-catching square bar design constructed from durable mild steel, this superb radiator utilises flat panels which have a greater surface area than bars, generating a significantly greater heat output - this will ensure your bathroom is cosy and warm on even the coldest nights. The Synergy Chrome Designer Square Bathroom Radiator is the perfect mix of style and warmth. 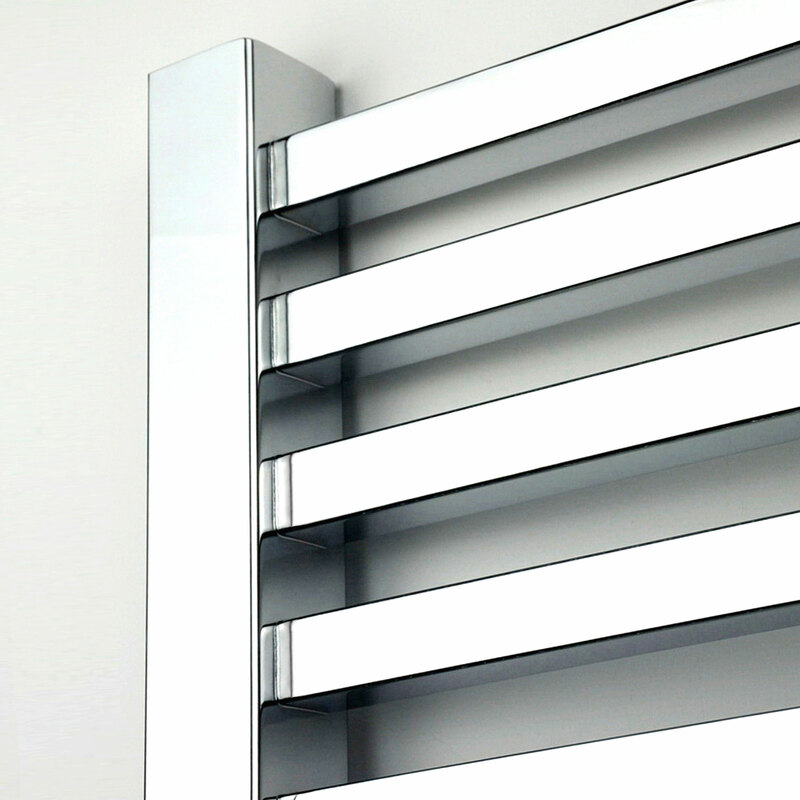 Our Synergy Chrome Designer Square Bathroom Ladder Radiator, with its bold, straight rails makes for a striking design feature on your bathroom wall. These talking-point looks are further enhanced by a triple layer of chrome, which provides a gleaming mirror finish. Strength is provided by the very highest grade low carbon steel, which in addition to robustness also offers unbeatable corrosion resistance. 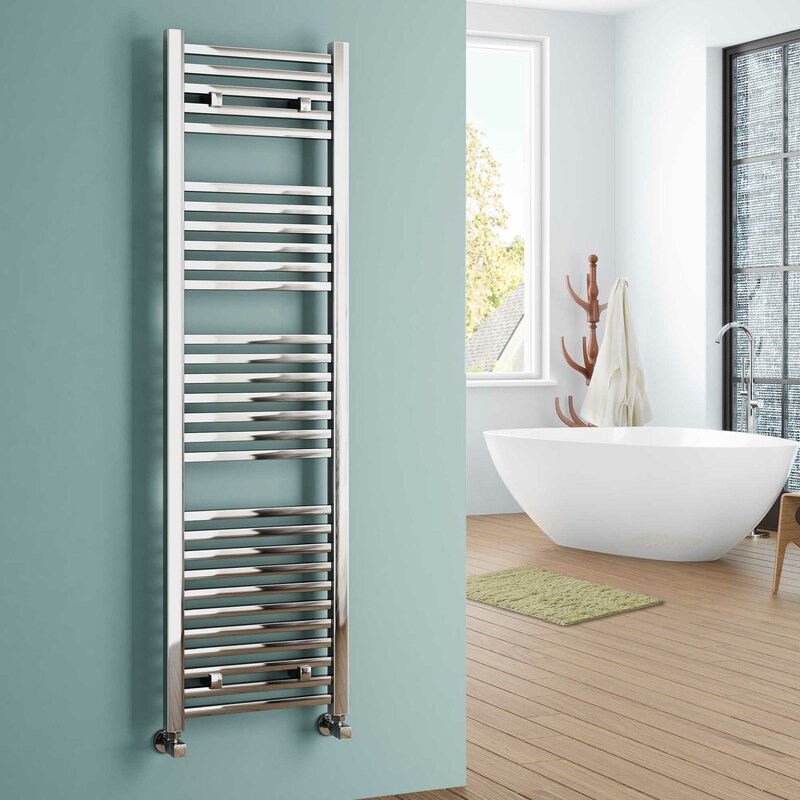 This eye-catching radiator has memorable looks, a highly fashionable cubic design and is built to last via superb BS EN 442 manufacturing industry standards. This memorable radiator is available in a gorgeous and visually striking polished chrome finish. It has 4 fixing points to ensure simple and sturdy wall mounting for superb peace of mind. 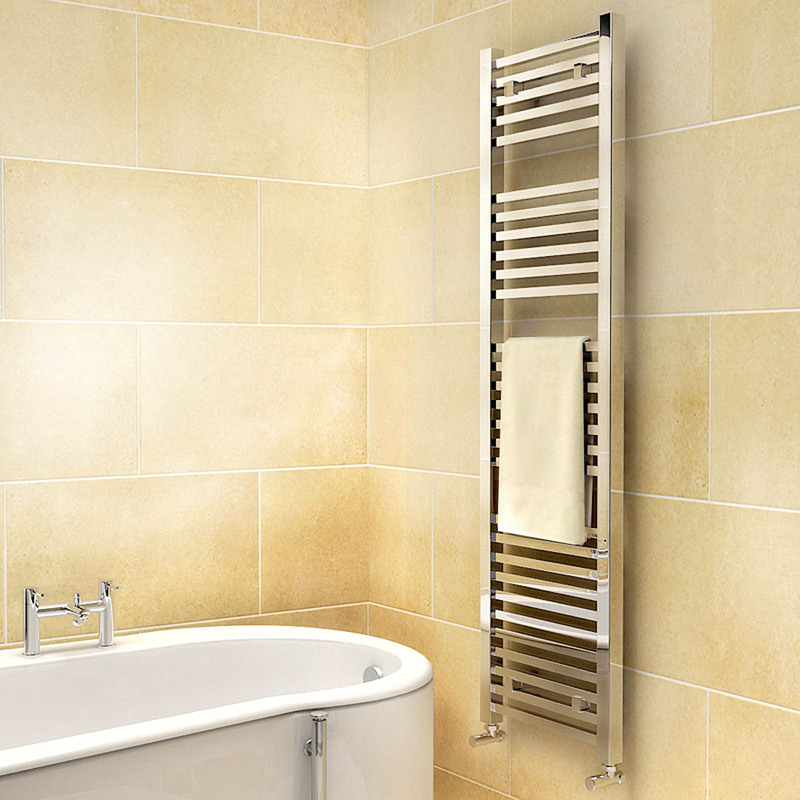 One of the most popular features of this deluxe designer heated towel rail is it's ultra-thick high-quality polished chrome finish - this ensures the radiator will last, meaning warm and relaxing nights for years to come. 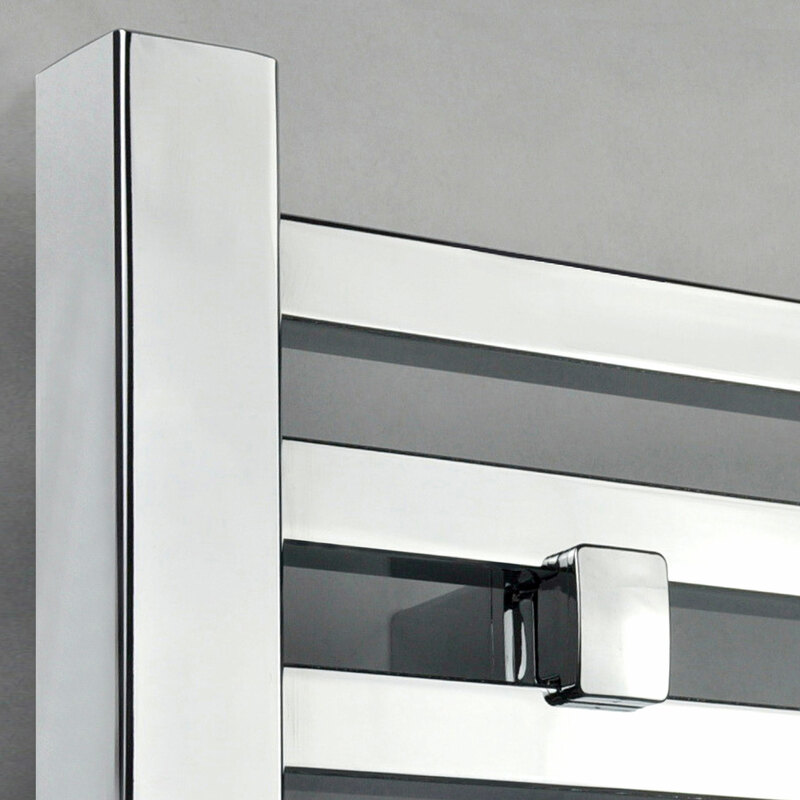 This top-grade chrome finish also makes the unit easier to clean and look after. This excellent modern radiator is available in a wide range of sizes and shapes, selectable from the drop-down menu below. This excellent range of shapes and sizes, plus the highly competitive and affordable price tag, makes this one of the most highly sought after and popular radiators available on today's market. Factor in the superb 10 Year Guarantee that comes with this item as standard, and it becomes clear this really is the ideal new addition for your home. This radiator can be connected to a central heating system as long as it has been treated with a Corrosion inhibitor. Qualified plumbers can advise you if you have any doubts as to whether or not your system has been treated by a corrosion inhibitor. The product can also be installed even if you do not have a central heating system with the addition of a heating element.